NOW - Credit cards accepted through Paypal without Paypal membership. 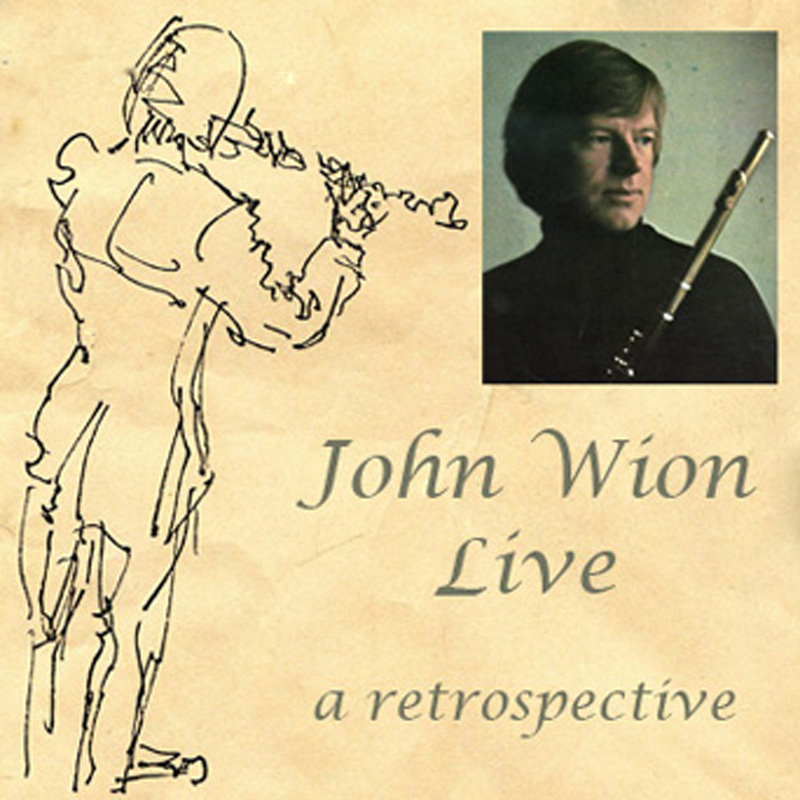 Just click on "Add to Cart"
This retrospective of my career to accompany my memoir (Wood, Silver and Gold - lulu.com) contains selections from live performances of solos with orchestra, piano, or tape by Hofmann, Bloch, Dutilleux, Davidovsky, Humble, Reinecke, Saint-Saëns, Lovelock, Molique, Prokofiev, Bach, Messaien, Boulez, Doppler, Briccialdi, and Ibert; chamber music of Foote, Mozart, and Romberg; and excerpts from operas of Mozart, Strauss, Bizet, Thomas, and Donizetti. Details. Godard Suite, Pessard Andalouse, Fauré Fantaisie/Morceau, Brun Romance, Gaubert Nocturne & Allegro Scherzando, Massenet Morceau, Ganne Andante & Scherzo, Taffanel Andante Pastorale & Scherzettino, Enesco Cantabile & Presto, Duvernoy Concertino, Périlhou Ballade. 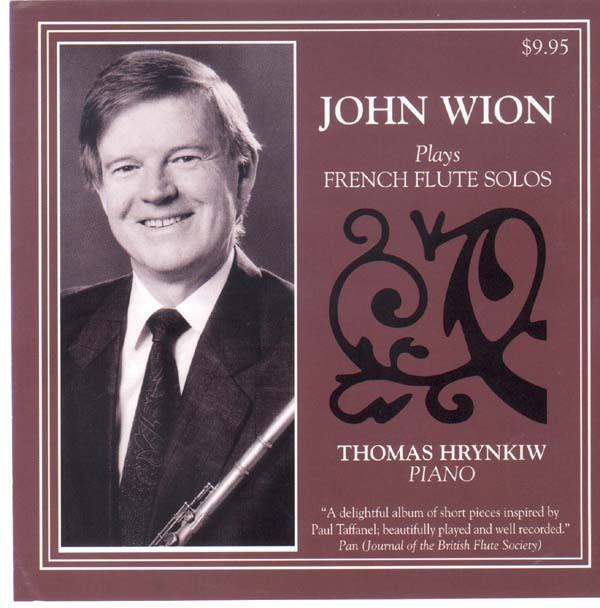 "His dazzling mastery of the French literature is evident in this comprehensive survey.....The performances and recording are all first rate and impressive with an openness of tone, intensity of vibrato and clean technique that make these very subtle and complicated pieces sound effortless...This album is a "must-have" for every flute student and teaching studio" The Flute Network. I no longer have commercial copies of this CD but will burn single copies if ordered. Try cdbaby.com or Flute World first. 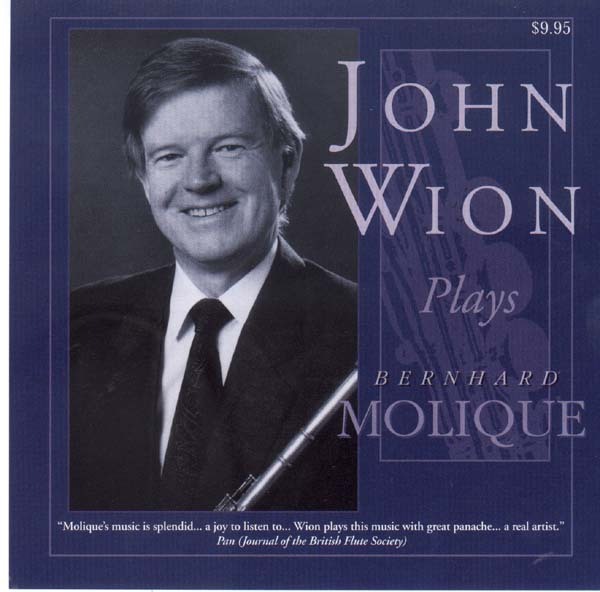 JOHN WION PLAYS BERNHARD MOLIQUE (1802 - 1869) CD $9.95. 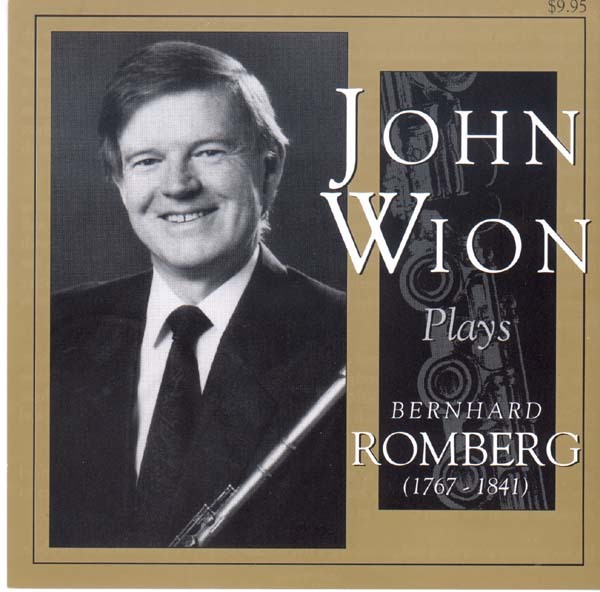 JOHN WION PLAYS BERNHARD ROMBERG (1767 - 1841) CD $ 9.95. "music of high quality. These performances are excellent." Robert Bigio, Pan. The above are also available from your local dealer, from Flute World , Just Flutes, or Top Wind. no longer available from MHS - please email me. These are available from record stores. SHAPE NOTES by DAVID MACBRIDE. This fascinating three movement piece for flute and two percussion players is contained in a CD of percussion music by this Hartt composer. INNOVA 525. My earlier LP recordings are no longer available but are listed in my Discography.